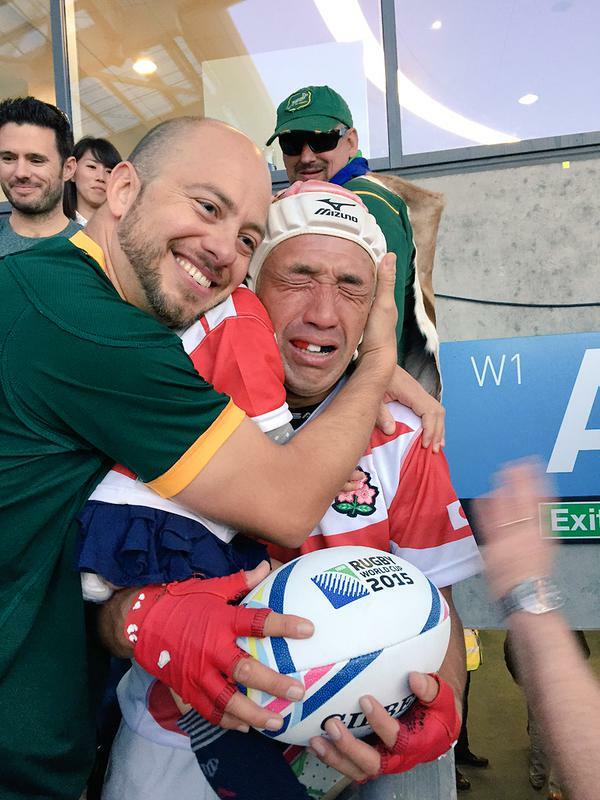 In 1995 Japan played New Zealand in the Rugby World Cup, hosted in South Africa. Nelson Mandela, greeting the antipodean team, famously said to Jonah Lomu "you frighten me a little bit". At the previous tournament the country had recorded their first win against Zimbabwe raising hopes for the game in the national psyche but on this there were to be no fairy tale finishes as the All Blacks inflicted a 145 - 17 demolition of the Brave Blossoms, something that put the games development in Asia back by a decade or more as it licked its wounds and no one else looked for a similar mauling. It's said that football is a game where players try to convince the ref they're injured whilst rugby is where the players try to convince the ref they're not. All Black legend John Kirwan took on the task, for the 2011 championships, of building a Japanese team that believed it could win and talking to him over lunch one day he was adamant that the question of build, size and stature was a red herring, the team had speed and scale. Passing the baton to Eddie Jones he cannot have imagined in his wildest dreams how quickly that belief was going to be vindicated. So Japan has beaten South Africa and you have to hope someone placed a wild bet on that and is now enjoying their newly minted fortune. Rugby is finally on TV and some people are even aware the next Rugby World Cup will be held here in 2019. But when a friend sent Eddie a congratulations message the reply was to look to Scotland for the coming week. Nicely done gentlemen, very nicely done for Saturday saw green clad Irish fans cheering the Japanese in a Welsh Stadium singing a Scottish song for a game played in England against a team from South Africa and even the Springbok fans gave them a guard of honour. And that's why I enjoy rugby.